I hate to admit it but I am not a very good blogger. Maybe I'll get better with more practice. I've been busy finishing up my Grand Illusion Mystery by Bonnie Hunter. This will probably be my first and last mystery quilt I do. I am glad I didn't make all 25 blocks as I really don't like it very much, too many things going on with it and no place for the eyes to rest. Maybe I shouldn't admit that as I do like scrappy quilts. Just not this one. 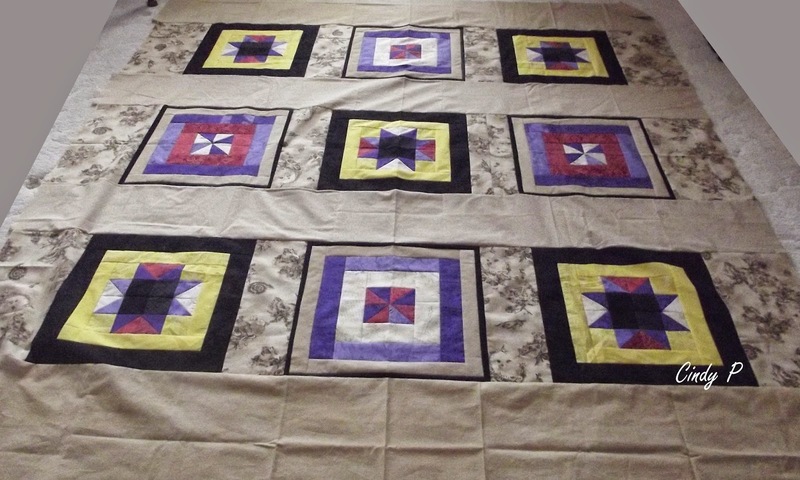 I made 16 blocks added the 2 inch border all around then the pieced border on the top and bottom. I made blocks from the border pieces I didn't use for the back. I pieced the rest of the back from my stash I have one shelf of stuff I've had it seems like forever. So I am trying to use as much as of it possible. This back eliminated 3 pieces, but lots more to go. My daughter likes the back better than the front. A friend suggested I use her long arm to quilt it, and I may take her up on it. I just want it done. 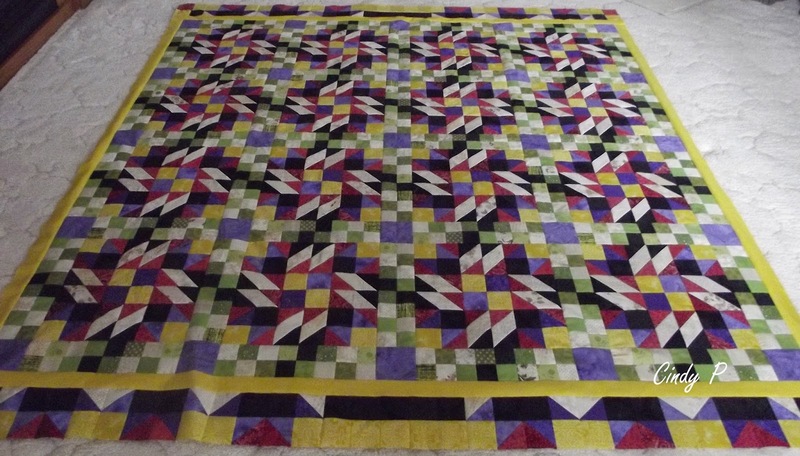 That quilt you are working on (in the post after GYB) looks to be fantastic!